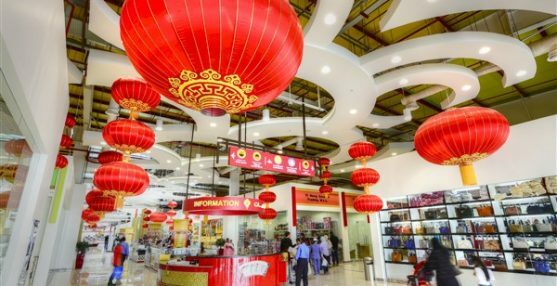 Dragon City, the Kingdom’s largest whole-sale and retail trade centre, recently organised “Bahraini – Chinese SME Conference 2017”. The conference is a result of the historic state visit by his Majesty King Hamad Bin Isa Al Khalifa in response to the invitation by the Chinese President Xi Jinping, in September, 2013. The event was attended by distinguished guests, namely members of the Bahrain Small and Medium Enterprises Society (SMES) comprised of Honorary President Mr. Jawad Al Hawaj, Chairman Dr Abdulhasan Al Dairi, and Vice Chairman Abdulrahim Fakhroo; the Chinese delegation consisted of Ms. Ma Xiang Yu, Chairwoman of the China Council for the Promotion of International Trade (CCPIT) Foshan, representatives of Chinese companies, and SME members. Officials from Diyar and Dragon City were also present. The Chinese delegation from Foshan introduced the town of Foshan and its industry to those present. Located to the north of Hong Kong, Foshan has a strong economic strength and a modern industrial base, well-known as a manufacturing industry in the world. Vice Chairman of SMES, Abdulrahim Fakhroo, gave a speech in which he stressed the importance of strengthening economic ties with China. He pointed out that the Ministry of Industry, Commerce and Tourism has worked with other government bodies to enhance the business environment for smaller companies due to their significance, simplifying business set-up procedures and implementing transparent regulations. He said: “We also aim to help SME owners and entrepreneurs in unleashing their potentials and discovering marketing secrets and abilities as well as export opportunities available to all. I believe that can be achieved through following and optimising a good relationship with the Chinese Business community.” He praised the event which provides an added value for Bahrain and the Business Community. Mr. Zeid, Deputy General Manager of Chinamex, Dragon City’s operating company gave a presentation on Dragon City as an ideal platform for SMEs. 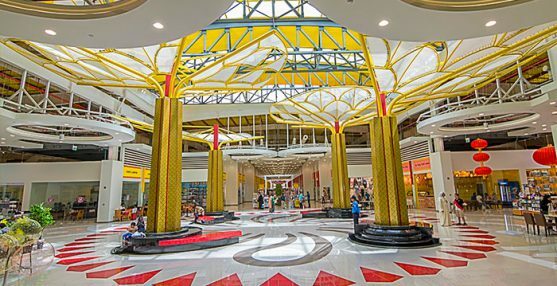 He explained that the mall houses a group of 500 tenants “Dragoners” who are SME owners, forming a 99% occupancy rate. 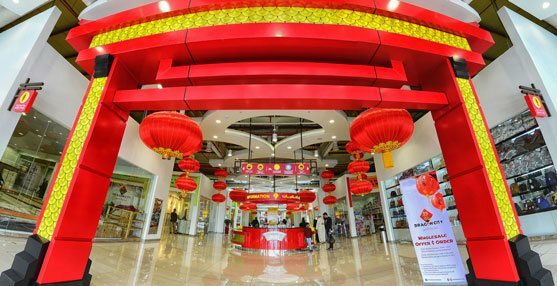 Additionally, Dragon City is a business hub for various types of goods ranging from clothes, home furnishings, hardware and electronics. It generates investment and tourism, fostering economic as well as social development through cultural exchange. CCPIT Foshan Chairwoman, Ms. Ma, began her speech by expressing her pleasure to attend this event. She spoke about the “One Belt and One Road” Initiative, the development strategy that focuses on connectivity and cooperation between Eurasian countries. Foshan is at the forefront of this reform, with a variety of advantage industries, such as machinery and equipment, household appliances, ceramic materials, metal materials processing and products, textile clothing, etc. Ms. Ma, commented: “Foshan is also a city with a long history and profound heritage. Its unique pottery, Cantonese opera, martial arts, food culture and other bright spots also attract friends from all around the world to visit.” She extended a warm invitation to all attendees to visit and expressed hopes for the success of the meeting. The conference was concluded with plans of mutual cooperation fruitful to both sides, serving as a business match-making between Chinese and Bahraini businessmen.